Dietary Supplements Are Popular, but are They Safe? The NIH offers a look at dietary supplements including vitamins, minerals, botanicals and more. When you reach for that bottle of vitamin C or fish oil pills, you might wonder how well they’ll work and if they’re safe. The first thing to ask yourself is whether you need them in the first place. More than half of all Americans take one or more dietary supplements daily or on occasion. Supplements are available without a prescription and usually come in pill, powder or liquid form. Common supplements include vitamins, minerals and herbal products, also known as botanicals. People take these supplements to make sure they get enough essential nutrients and to maintain or improve their health. But not everyone needs to take supplements. “You should discuss with your doctor what supplements you’re taking so your care can be integrated and managed,” advises Dr. Craig Hopp, an expert in botanicals research at NIH. Dietary supplements are regulated by the U.S. Food and Drug Administration (FDA) as foods, not as drugs. The label may claim certain health benefits. But unlike medicines, supplements can’t claim to cure, treat or prevent a disease. Evidence does suggest that some supplements can enhance health in different ways. The most popular nutrient supplements are multivitamins, calcium and vitamins B, C and D. Calcium supports bone health, and vitamin D helps the body absorb calcium. Vitamins C and E are antioxidants—molecules that prevent cell damage and help to maintain health. Women need iron during pregnancy, and breastfed infants need vitamin D. Folic acid—400 micrograms daily, whether from supplements or fortified food—it is important for all women of childbearing age. Vitamin B12 keeps nerve and blood cells healthy. “Vitamin B12 mostly comes from meat, fish and dairy foods, so vegans may consider taking a supplement to be sure to get enough of it,” Haggans says. The health effects of some other common supplements need more study. These include glucosamine (for joint pain) and herbal supplements such as echinacea (immune health) and flaxseed oil (digestion). Just because a supplement is promoted as “natural” doesn’t necessarily mean it’s safe. The herbs comfrey and kava, for example, can seriously damage the liver. For vitamins and minerals, check the % Daily Value (DV) for each nutrient to make sure you’re not getting too much. “It’s important to consider the DV and upper limit,” says Haggans. Too much of certain supplements can be harmful. Because supplements are regulated as foods, not as drugs, the FDA doesn’t evaluate the quality of supplements or assess their effects on the body. If a product is found to be unsafe after it reaches the market, the FDA can restrict or ban its use. Manufacturers are also responsible for the product’s purity, and they must accurately list ingredients and their amounts. But there’s no regulatory agency that makes sure that labels match what’s in the bottles. You risk getting less, or sometimes more, of the listed ingredients. All of the ingredients may not even be listed. A few independent organizations conduct quality tests of supplements and offer seals of approval. This doesn’t guarantee the product works or is safe; it just assures the product was properly made and contains the listed ingredients. To make it easy to find reliable information, NIH has fact sheets on dietary supplements at http://ods.od.nih.gov/factsheets/list-all/. NIH also recently launched an online Dietary Supplement Label Database at www.dsld.nlm.nih.gov. This free database lets you look up the ingredients of thousands of dietary supplements. It includes information from the label on dosage, health claims and cautions. “Deciding whether to take dietary supplements and which ones to take is a serious matter,” says Coates. “Learn about their potential benefits and any risks they may pose first. Speak to your health care providers about products of interest and decide together what might be best for you to take, if anything, for your overall health. Tell all of your health care providers about any dietary supplements you use. 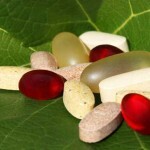 Some supplements can interact with medications or affect medical conditions. Read the label instructions for use. “Natural” doesn’t always mean safe. For up-to-date news about the safety of particular supplements, check http://nccam.nih.gov/news/alerts. Too much might be harmful. Don’t take more than the recommended dose.